in the Sun Oaks lobby. Our Personal Training team will be recruiting members who are ready to takethe next step in their fitness journey! Let us figure out your starting positions with a FREE Goal Setting Consultation and fitness assessment. Total value +$65! 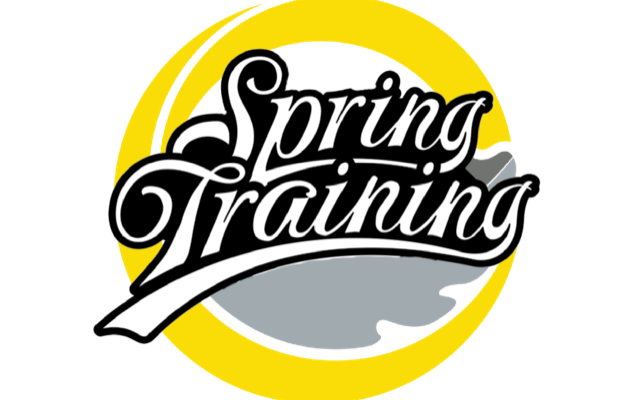 Training Package for 30% off! Lowest prices of the year and good for 3 days only! 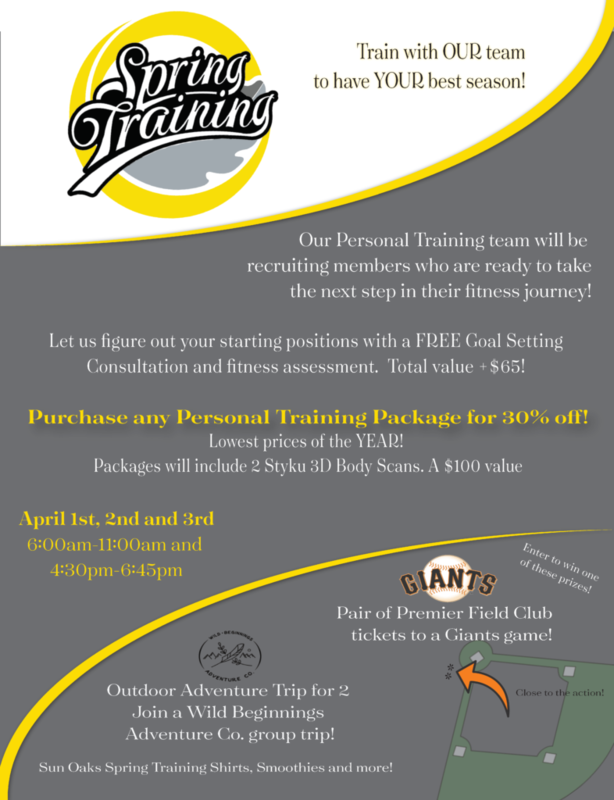 Enter to win a pair of Premier Field Club Level tickets to a Giants game or an Outdoor Adventure package from Wild Beginnings Adventure Co! We will also have goodie bags and more prizes each day!